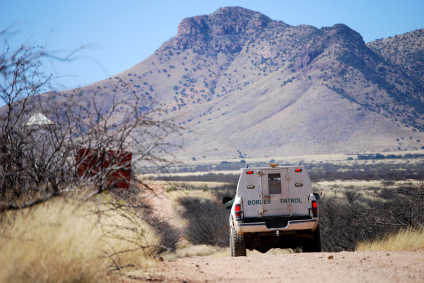 The gender gap among Border Patrol agents is significant, even as more women are crossing the border illegally. The Los Angeles Times reports a 173% in the number of apprehended female immigrants, yet just 5% of the agency’s 21,000 agents are women. Border Patrol hopes to correct the disparity by aggressively recruiting women. While Border Patrol rules do not prohibit male agents from searching female migrants, the agency prefers women for that role. Another perk of female agents is having someone that women can trust. According to Amnesty International, three of every five female migrants are sexually assaulted during their trek. Posted: 12/16/14 at 7:16 AM under News Story.